Christopher Howard, the president of Robert Morris University, will deliver the first address in WSU’s new Excellence in Leadership Lecture Series at 4 p.m. Oct. 24 in the CUB Senior Ballroom. 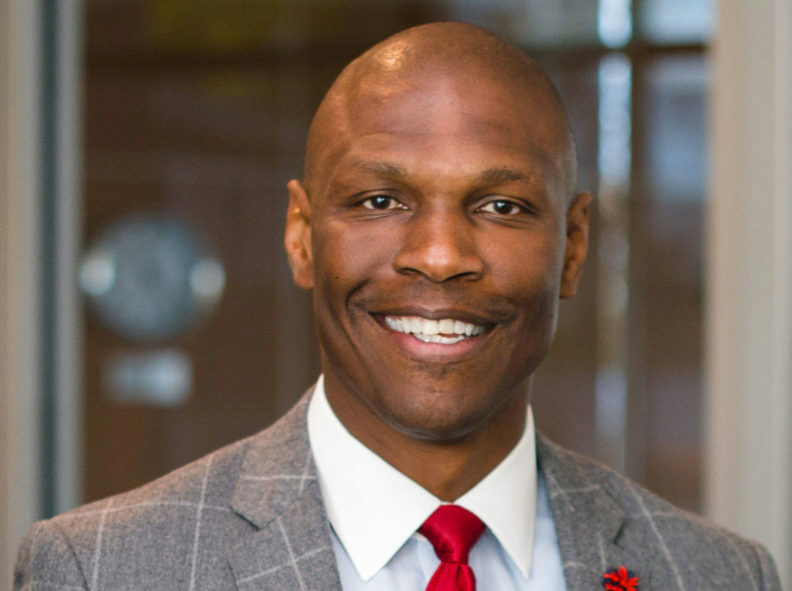 President Howard, who will speak about “8 Ways to Accelerate Your Leadership Odyssey,” recently discussed his approach to leadership—an approach that has earned him a reputation as one of the nation’s most dynamic young college presidents. Q: How did you get your start in academia? President Howard: When I left the Air Force Academy, I was set on attending Harvard Kennedy School of Public Policy, but my mentor, then Captain (now General) Michelle Johnson, the first woman to run the Air Force Academy, persuaded me and a few other cadets to apply for the Rhodes Scholarship, which gave me the opportunity to attend Oxford. In addition, while attending Oxford, I met and had the opportunity to hear Professor Henry Louis Gates Jr.’s lecture on the African American intellectual tradition. Gates’ presentation was so urbane and sophisticated that I was enamored. At this time, around 1993, I started thinking more seriously about Black Studies as an area of study, as well as the possibility of serving on an advisory board at the historically black college (HBCU) Morehouse in Atlanta, Georgia. A few years later, while transitioning from my time serving in Afghanistan with plans to go work for General Electric, I was visiting Oxford and ran into David Boren, who at the time was president of the University of Oklahoma. Over two years, we had a number of conversations about the changes that he was making and wanted to make at the University of Oklahoma. We talked about me joining his team, but I was reluctant because I was enjoying my job at General Electric. Eventually, he recruited me out of corporate America into a leadership position at the University of Oklahoma. I stayed there for four years before becoming president at Hampden-Sydney for seven years, and I have been here (at Robert Morris) for two years. Q: Which skills do you draw on from your military and athletic experiences in your position as president of Robert Morris? President Howard: Well, athletic teams are all about teamwork and selflessness, attention to detail and discipline—great characteristics for any leader in any space—but I think playing football from Pop Warner through college gave me a number of opportunities to hone those experiences. Similarly, from the military, I adopt a servant leader model. I think it is very important for a university president to be in it for others: students, faculty, alumni, and the community. If you’re not, you’re in the wrong business. In both spaces—the military and education—the focus is on helping people achieve their dreams and aspirations. Q: What personal goals do you have for yourself and your career? President Howard: I live by a simple credo: I want to lead; I want to serve; and I want to grow. As long as I am leading, serving and growing, I am happy. As far as an epitaph, I want to be remembered as someone who cared deeply for others. I see myself as the CEO—the Chief Empowerment Officer. I embrace Langston Hughes’ words, “Let America be what America wants to be.” I say, ‘Let Robert Morris be what Robert Morris wants to be.’ If I can get excellence and opportunity right, I will be very happy with how I am remembered in the history of this university. Q: What’s the most challenging part of being a university president? President Howard: The most challenging part is securing resources to make changes and impact lives. The more resources one has, the more opportunities one can offer. There is a finite amount of resources, but a number of great things we want to do for our university going forward in terms of research, scholarships, internships, and just extracurricular activities that would make students better citizens. Q: When you reflect on your career is there anything that you wish you had done differently? President Howard: (Laughing) Nothing! If I would’ve known what it took to be a college president—how crazy the job is—I wouldn’t have done it. So maybe the best thing I did was not to do due diligence. When I worked at GE, I was in a meeting with Jeff Immelt, the former GE president, and Jeff said that no one is qualified to be the company CEO because GE’s business is too large, too eclectic. I think about President Shultz, for whom I have a deep abiding respect for his work at Kansas State—he would probably say the same thing. Whether you are at a big public or medium size private college like I am, no one has everything it takes to be a university president. I’ve been involved with some searches and headhunters have spoken with me about being president (at various universities) and they have allowed me to read the prospectus for the job. (Laughing) They read like the presidential candidate should walk on water, should turn water into wine, be able to score four to six touchdowns with his/her eyes closed, be able to raise a billion dollars, and be a brilliant scholar. There’s just no way to plan for this job, so in some ways I am happy that I trusted my gut and followed my desire to help people. I knew that I could lead, serve, and grow in higher education, and I knew that my aptitude, and attitude, and my training would put me in a good place. I think if most people do due diligence before putting their name in a hat to be a college president they probably wouldn’t do it. So (laughing) I’m glad I didn’t do all the due diligence. I love it now. Q: If you could choose your career path over again, would you take the same path? President Howard: Yes, I would’ve chosen the same path. I like to focus on various things at the same time: move from community to community within and outside the university. Thus, regardless of how busy and demanding this position is, I would’ve done the same thing. Q: What advice would you give to a student who is thinking about being a university president? President Howard: The most common path—maybe 30 percent of presidents—still come from the professorial side, directly from the provost academic position. That number is going down for a couple of reasons: the job of the president has become much more externally focused, and the job of the provost has become much more internally focused. Also, many more provosts are saying that they only want to be provost. However, the most viable way is to rise through the ranks: assistant professor, associate professor, full professor, chair, dean, vice president, provost, president. Regardless, you have to be leader and develop your executive function, which is the ability to lead, manage, create a shared vision, plan strategically, and understand budgets and human nature. Philosophically, a college presidency isn’t for anyone who doesn’t like volatility, change and animism. Here is a great acronym: We live in a VUCAR (Volatile, Uncertain, Complex, and Ambiguous, Real) time. And, the president of a university isn’t immune to that. Everything happens in real time.